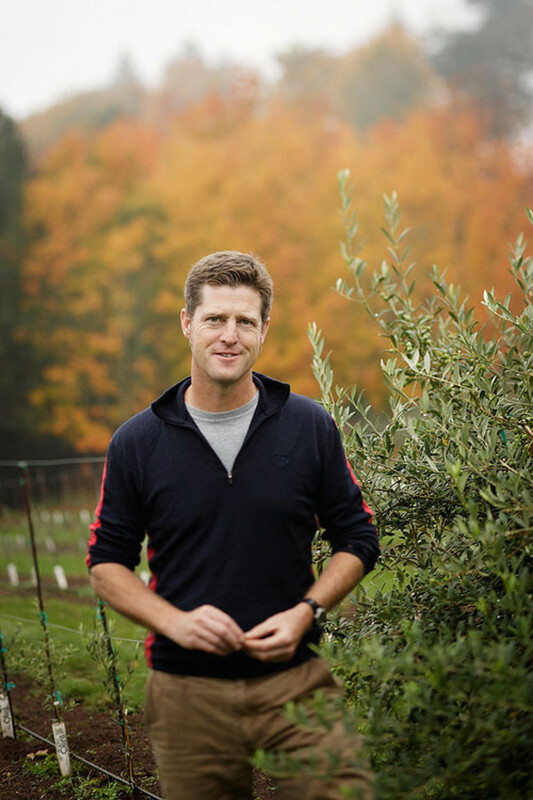 Tis the season for Olio Nuovo, the annual celebration of fresh olive oil straight from the presses, so we sat down with Oregon's top olive oil producer to find out more. Paul Durant of the Oregon Olive Mill at Red Ridge Farms. Heads up locavores: this November 16th, 17th and 18th, Oregon Olive Mill at Red Ridge Farms in the heart of wine country will open its grounds and olive press to the public for a free celebration of the first oil of the harvest season. Based on the annual Olio Nuovo celebration that brings together communities of olive oil lovers in Italy, Oregon Olive Oil's weekend-long festival provides visitors of all ages the chance to sample oil fresh from the presses along with newly released wines from the property's vineyards. I sat down with Oregon Olive Mill's head miller Paul Durant—who has been making olive oil in Oregon since 2005—to chat about the differences between winemaking and milling, the magic of Oregon terroir, and his favorite recipes using olio nuovo. 1. What makes new oil different than the oil that we're likely to find the rest of the year? New oil, or Olio Nuovo represents the freshest olive oil you can find. It is full of rich sediment from the milling process that adds texture, flavor, and freshness to the oil. These sediments will continue to impart flavor to the oil, but must ultimately be racked or filtered out from the oil because they will begin to impart defects if they remain in the mix. 2. What was your introduction to the olio nuovo traditions? When we purchased the olive mill, the manufacturer of the equipment provided two seasons of milling "training". Our trainer was Duccio Morozzo della Rocca, an olive expert experienced in the nuances of olives and the milling techniques used to produce superior olive oil. He was completely blown away by both the climatic challenges we face here in Oregon and the quality of the oil we can produce. On his last visit to the farm, he related to us the tradition of the Olio Nuovo Festa in Italy, where millers and producers open their doors and invite the community to experience and taste the new olive oils of the season, and it really resonated with us. We work so damn hard to grow these trees and to hone our craft in milling, and we're always looking for ways to reach consumers and let our work speak for itself. 3. What flavors differentiate Oregon olive oil? Does olive oil show terroir like wine? The flavor difference is huge—just ask Vitaly Paley! He has been such a great supporter of our efforts, and he was one of the first to try our 100% Oregon oils. 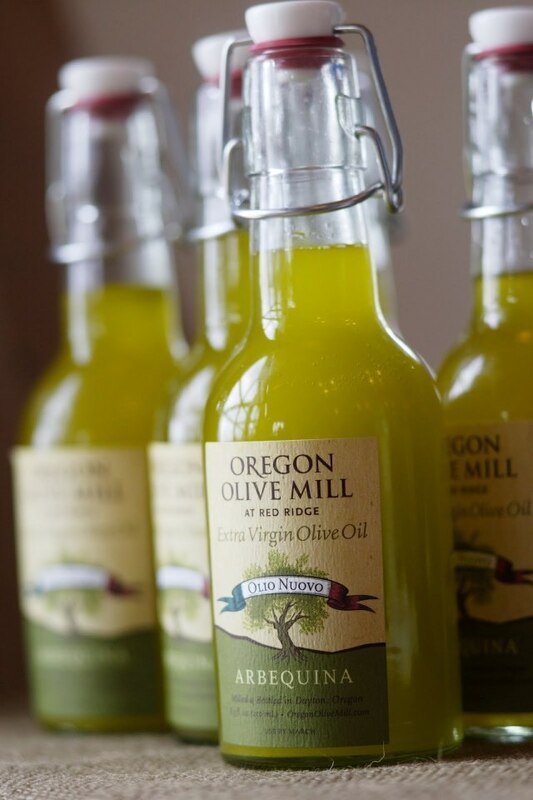 Up until the milling season of 2011, I had blended our Oregon Olive Oil with the fruit we source out of Northern California, and the first completely local oil was pretty intense. If you looked at it in the jar, it looked like motor oil! Pouring it out on dish, the deep emerald green leapt off the plate. Looking at the color, you might expect a deep bitterness, but the initial hit of flavor from our Oregon oils is one of fruit— banana, grass, apple—then develops a complex pungency that really compliments rich foods. 4. How do you cook with new oil at home? I cook everything with olive oil—from grilled cheese sandwiches to fried eggs. My favorite recipe right now is baked chicken with a Koroneiki Olive Oil and Balsamic reduction. I also have been doing a poor man's paella. Just a combination of risotto rice with whatever is handy (like chorizo, polish sausage, dover sole, calamari or shrimp, green peppers) drizzled with plenty of new oil. 5. 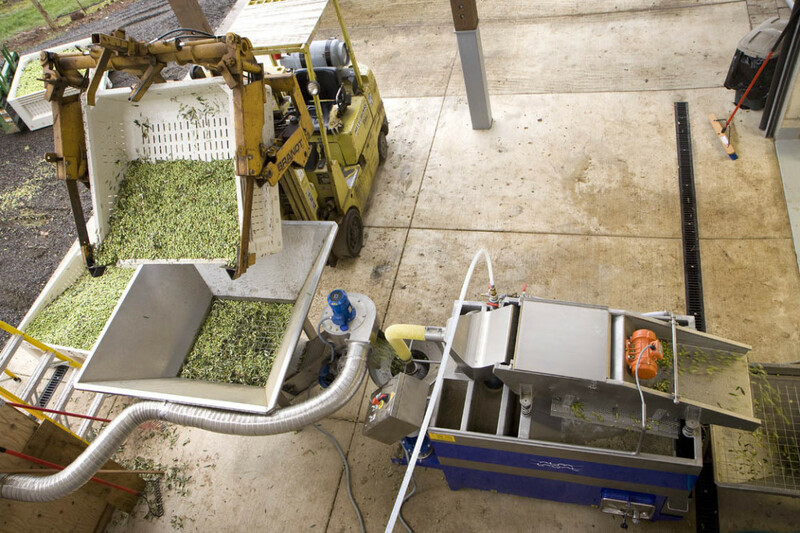 How does pressing olive oil differ from making wine, the other big product of your harvest season? I believe there are "winemakers" but there are no "oilmakers"—there are only millers. The oil is in the fruit, created by nature and climate. We do not make this oil. In many ways, extracting olive oil is much more difficult than making wine. There is a very short window to produce a quality product, and if you mess it up there is no recovery, no masking techniques, at least not in my world (Global olive oil corruption is another topic). The job of the miller is to understand the nuance and techniques of the milling process to carefully extract this oil and preserve its freshness and taste. As a miller, I strive to capture this year after year. Olives being sorted prior to press. Friday through Sunday, November 16-18, 10 am to 5 pm daily.